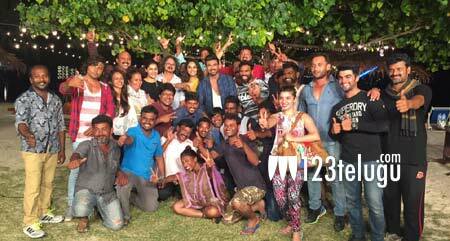 Ram Charan’s much-awaited action thriller, Dhruva, has completed its shooting part today. The movie’s unit has canned the last song in the pristine beaches of Krabi Islands in Thailand. Dhruva is an official remake of the hit Tamil movie, Thani Oruvan. Ram Charan’s new image makeover for his role of an IPS officer will be a special attraction in the movie. The film is directed by Surender Reddy and produced by Allu Aravind and NV Prasad. Rakul Preet Singh is the film’s leading lady. Dhruva is gearing up to hit the screens in early December.